Tips for Vetting a Work from Home "Opportunity"
Working from home is a dream for many. After all, what’s better than sleeping in, and then getting up to do work in your pajamas? You can set your own schedule, and make good money. Are You Promised Good Pay for Simple Tasks? When I was in college, I was drawn in by the idea that I could make money by stuffing envelopes. Luckily, after an investment of $1, and the receipt of a “business kit,” I realized that there was something fishy going on. A little careful thought reminded me that companies have machines to stuff envelopes — for much less than $1 per envelope. When you use a site like Mechanical Turk, or Fiverr, you are usually doing simple tasks — and you are paid accordingly. You won’t make a lot of money doing these easy items. If you are promised good pay for simple tasks, that’s your first indication that something might be wrong. If you want good pay, you usually have to work a little harder. Do You Have to Buy a “System”? You see an ad that indicates you can make more money from home. You click on it, and find out that you’re not actually doing a job. Instead, you are being sold a system. This system is supposed to help you automate a home business so that you basically just sit back and watch the cash roll in. The reality is that most of these systems won’t actually work easily. You have to put in a lot of time and effort to see good results — if the system even works at all. If your home business is built on someone else’s system, you probably won’t make a lot of money. It’s one thing to buy a course full of information, showing you how to make your own success by putting in the hard work. It’s another thing to spend money on a system that requires very little effort. That system is likely a scam. Steve’s course on how to run a profitable online store is an example of a course that can help you build a successful home business, however it requires work and Steve doesn’t promise you will make tons of money by doing nothing. Is There a Hard Sales Pitch? Watch out for hard sales pitches. This is especially common in many multi-level marketing (MLM) companies. While MLM can be a legitimate way to earn some extra money and diversify your income, you do need to be careful. Some of these companies are more interested in getting you to buy products and then try to sign up “team members” than in actually getting you to sell the product. In some cases, you might be told you need to make a decision right now, or miss out on the “opportunity”. That is a major red flag. Legit opportunities can be taken advantage of later on. Additionally, if you are getting pressure to use your credit card to buy a huge amount of product — even though you are just starting and have no customers yet — that could be another indication that your work from home opportunity really isn’t much of one. Yes, there are business models that require you to lay out some capital and purchase inventory. But you should never feel like you “have” to buy a large amount of items in order to succeed. Especially with MLM companies, you should moderate how much inventory you have on hand, and focus more on marketing to customers, rather than recruiting “team members” that often end up competing against you. Are You Asked to Pay for Basic Employment Screening? One work from home employment scam circulating is one that requires you to pay for your own background check or credit check. The “hiring manager” sends you, via affiliate link, to a web site where you enter your information. You get a credit check or some other background check, and pay the fee. The person who sent you there gets his or her commission — and you’re told you aren’t suitable for the position. Employers generally assume the cost for employment screening, so if you are asked to bear the cost, watch out: It could be a scam. 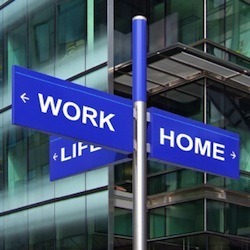 Working from home often requires time and effort — especially at the beginning. While you might be able to relax and slow down after you have your business off the ground, at first it’s almost always a lot of work. Thanks for an alerting many people to avoid pie in the sky work at home opportunities. Systems don’t really work or they produce little results than what was promised. Use common sense for work at home opportunities. Do something real. Something you can be proud of. Rather keep your job in the meantime to support you. Be happy and thankful that you have it. Something better will come up. A real work at home opportunity that is perfect for you.